BODEGA Y QUADRA (Cuadra), JUAN FRANCISCO DE LA, naval officer, explorer, and diplomat; baptized 3 June 1743 in Lima, Peru, son of Tomás de la Bodega y de las Llanas, a Spanish-born deputy of the Spanish consulate in Cuzco, and Francisca de Mollinedo y Losada, descendant of a prominent Peruvian family; d. 26 March 1794 in Mexico City. Bodega was sent to Peru in 1776 to secure a vessel for use on the northwest coast. He returned to San Blas the next year with the Callao-built frigate Favorita, which he captained to Alaskan waters in 1779 as second in command of Ignacio de Arteaga’s expedition. The commanders had been instructed to explore the area, to determine the extent of Russian expansion east from the Aleutians, and to execute orders from Madrid calling for the interception of Captain James Cook’s vessels. Bodega and Arteaga had no way of knowing that the famous navigator had already been slain in the Sandwich (Hawaiian) Islands, and they did not sail far enough west to meet Cook’s ships, which Charles Clerke had brought to Alaskan waters for a second season of exploration. Bodega’s superiors recognized him to be a valorous and competent officer. He had been awarded the military title of knight of the order of Santiago in 1776, and in 1780 he was made frigate captain. 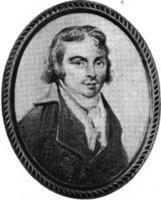 Before his transfer to Havana, Cuba, in 1783, Bodega served as commandant of the department of San Blas for a year. Promoted ship’s captain in 1784, he was transferred to Cadiz, Spain, the following year. After Bodega left the department, command of Spanish activities on the northwest coast had, for want of more capable officers, been entrusted to hot-tempered Esteban José MartÍnez. At this time maritime fur-traders of other nations were showing an increased interest in the region, and in 1789 Martínez, in an attempt to enforce Spanish claims there, seized a number of British vessels at Nootka Sound (B.C.). 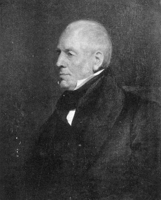 The British prime minister, William Pitt, took advantage of the incident to press Spain for drastic concessions in its claims to the northwest coast. 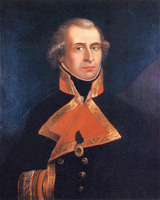 Charles IV of Spain was reluctant to yield, however, and the Nootka Sound crisis of 1790 for a time threatened to involve all Europe and the United States in war. The crisis ended in the Nootka Convention of 1790, which appeared to commit Spain to returning all land in the sound taken from British subjects in 1789 [see John Meares*]. 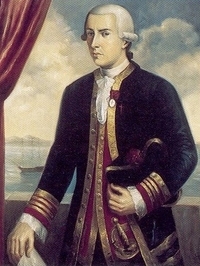 Bodega had again been appointed commandant of the department of San Blas in 1789, and in 1792 he sailed to Nootka to take command of the small Spanish naval base there. The base, with its barracks, hospital, and flourishing gardens, had been the sole European outpost between California and Russian Alaska for the preceding three years. The genial commandant from Lima, with his even-tempered governance of the base, earned the respect and admiration of the British and American fur-traders, and of the Nootkas. Captain Robert Gray*, an American trader, placed such high regard upon his friendship that he named his son Robert Don Quadra Gray. Bodega’s many-course banquets, served on silver plate and accompanied by fine wines and brandies, to which captains and officers of all nationalities calling at Nootka were invited, were famous. The tolerance and interest Bodega displayed for the Nootkas’ customs gained their lasting affection and strengthened Spain’s hold over the area. Muquinna was often an overnight guest at Bodega’s residence. During his single summer in command at Nootka Bodega provided for construction of a second, short-lived base at Núñez Gaona (Neah Bay, Wash.), and for a more extensive exploration of Juan de Fuca Strait and the fjords of what are now British Columbia and Alaska in a search for the fabled northwest passage [see Dionisio Alcalá-Galiano*]. The explorations resulted in the most complete maps that had yet been made of the coastline and Captain George Vancouver’s use of them is mirrored today in the many Spanish place names along the coast. Bodega had taken command at Nootka in order to negotiate with Vancouver the terms of the 1790 Nootka Convention. He was convinced, however, by the testimony he gathered from fur-traders and Indians, and by the vaguely worded terms of the convention, that he was justified in withholding from Vancouver all but a small portion of Friendly Cove in the sound. Bodega’s diplomacy effectively thwarted the British attempt to gain possession of the base. Two subsequent Anglo-Spanish conventions led to a mutual agreement to leave the sound uncolonized; British plans for settlements on the northwest coast were checked until the 19th century. 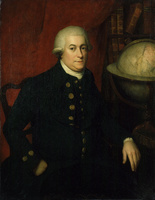 Spanish activities on the northwest coast had reached their apogee under the vigorous impetus provided by Bodega, but his conviction and firmness were not matched in Mexico City or Madrid, where greater importance was attached to placating London than to sustaining a costly dominion over the region. Bodega spent the winter of 1792–93 in Monterey (Calif.) providing for the strengthening of the posts in Alta California and hosting a visit to Monterey from the Vancouver expedition. He returned to San Blas in the spring of 1793. Broken in health, he applied for transfer to Callao. Despite a period of recuperation in Guadalajara (Mexico), a sudden seizure while he was in Mexico City on 26 March 1794 cut short his career. Huntington Library, HM 141, Juan Francisco de la Bodega y Quadra, “Viaje a la costa n. o. de la America Septentrional . . . en las fragatas . . . Sta. Gertrudis, Aranzazu, Princesa y goleta Activa.” Museo Naval (Madrid), ms no.126, “Extracto del diario” (1775); ms no.618, Juan Francisco de la Bodega y Quadra, “Comento . . .” (1775); ms no.622, Juan Francisco de la Bodega y Quadra, “Diario” (1775). [F. A. Mourelle], “Journal of a voyage in 1775, to explore the coast of America, northward of California, by the second pilot of the fleet . . . ,” Miscellanies, ed. and trans. 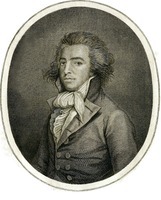 Daines Barrington (London, 1781), 469–534. J. M. Moziño Suárez de Figueroa, Noticias de Nutka; an account of Nootka Sound in 1792, trans. and ed. I. H. Wilson (Seattle, Wash., 1970). 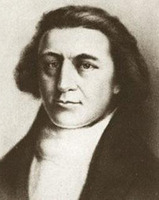 [George Vancouver], “Captain Vancouver’s report to the Admiralty on the negotiations with Don Juan Francisco de Bodega y Quadra at Nootka Sound in 1792,” B.C., Provincial Archives Dept., Report (Victoria), 1913, 11–30; Voyage of discovery (J. Vancouver). Cook, Flood tide of empire. M. E. Thurman, “Juan Bodega y Quadra and the Spanish retreat from Nootka, 1790–1794,” Reflections of western historians, ed. J. A. Carroll and J. R. Kluger ([Tucson, Ariz.], 1969), 49–63; The naval department of San Blas; New Spain’s bastion for Alta California and Nootka, 1767 to 1798 (Glendale, Calif., 1967). Javier de Ybarra y Bergé, De California á Alaska: historia de un descubrimiento (Madrid, 1945). F. E. Smith, “The Nootka Sound diplomatic discussion, August 28 to September 26, 1792,” Americana (New York), XIX (1925), 133–45. Warren L. Cook, “BODEGA Y QUADRA, JUAN FRANCISCO DE LA,” in Dictionary of Canadian Biography, vol. 4, University of Toronto/Université Laval, 2003–, accessed April 21, 2019, http://www.biographi.ca/en/bio/bodega_y_quadra_juan_francisco_de_la_4E.html.